When building your online presence as a thought leader, it is important to know you are not alone on this journey. There are thousands who are willing to participate, play and even help you succeed at business or career. 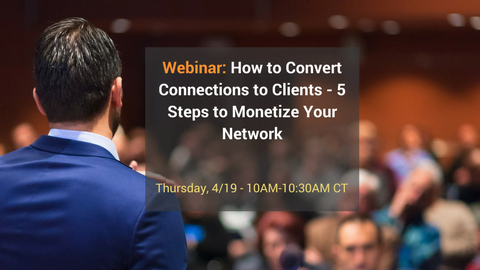 With the start of a few key connections you can achieve a powerful network that can help bring you endless referrals. Learn from the best who have built thousands learn how to build a powerful network and explode their personal brand. 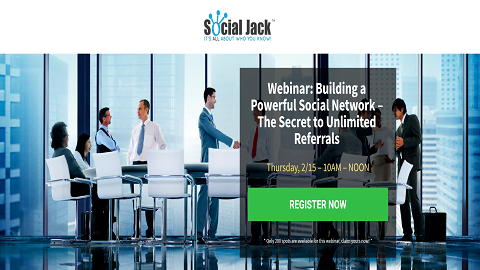 Dean DeLisle and the Social Jack™ Team have put together a quick easy to follow recipe to get on the right track and make sure that people seek you out first and bring a network of resources to help. You will also learn a proven methodology used to scout and draft the top players in your network, with being online less than 20 minutes a day! In this two-hour online class, we show you how to jump in, have fun and get started to become an influencer in your professional world. Your Instructor: Dean DeLisle, Founder and CEO of Forward Progress, a Chicago based Influencer Marketing Company, has developed training programs and services to help organizations and professionals become an influence in a very digital world. He and his team have successfully coached and trained over 100,000 professionals on their Social Jack™ platform helping to develop Influencers all over the world. Learn from the best and see how you can become the brand that stands apart from the competition.